Did you know that you can and should test your omega-3 capsules at home to determine the form and quality of the oil inside? This is extremely important because while the triglyceride form of omega-3 has been shown to be beneficial at improving heart health, preventing Alzheimer’s disease and reducing stress, anxiety and depression, the ethyl ester form (which is still widely used in many popular brands) can actually produce negative health consequences! Find out what form your current omega-3 supplement is. It only takes 15 minutes (at most) and all you need is a pin, a Styrofoam cup and one of your current omega-3 capsules. You can find out if you are wasting money on your omega-3 supplements and potentially putting your health at risk. Warning: This is a very vivid, dramatic visualization as to the difference between a fish oil supplement using ethyl esters (EE) and one that uses the triglyceride (TG) form. Watch the video above to see how the Styrofoam cup reacts completely differently to these two forms of omega-3. They are vastly different substances that bring about vastly different reactions in both the Styrofoam cups and in our bodies. Here are the facts: Omega-3 supplements can choose to use one of two forms of fish oil that react very differently both with Styrofoam cups and inside our bodies. #1 Ethyl Esters are not efficient. The EE form is created in a process called trans-esterification, more commonly referred to as molecular distillation, which reacts fatty acids with ethanol, or alcohol. EEs are scarce in nature, therefore, this affects the way they are digested and absorbed in the body. The body is set up to digest fish oil in the small intestine through mechanical emulsification with the help of bile salts released by the gall bladder. The triglyceride parts are then split into smaller parts called diglycerides, monoglycerides and free fatty acids by pancreatic lipase. #2. Ethyl Esters are poorly absorbed. Additionally, research study after research study concludes that EPA and DHA from triglycerides are absorbed at dramatically higher percentages over ethyl esters. 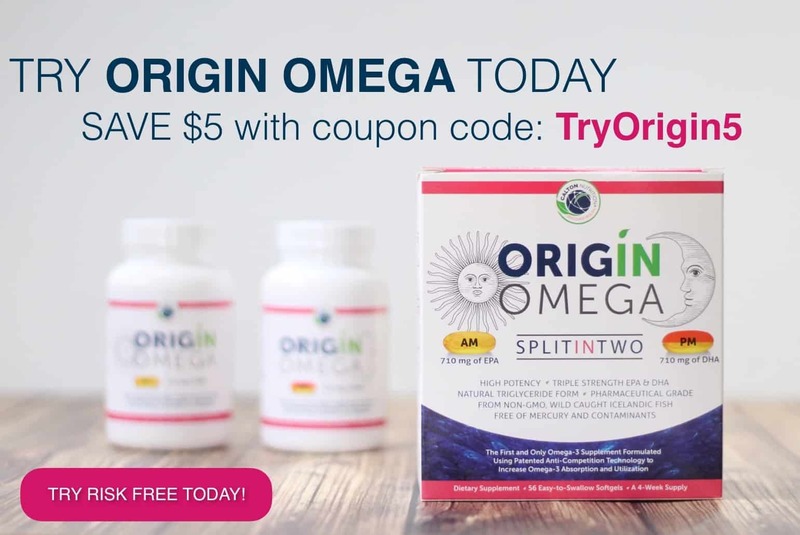 The triglyceride form of omega-3 is at least 70% better absorbed in the gut than the ethyl ester form and one study showed the EPA and DHA from triglycerides being 340% and 271% better absorbed, respectively, compared to those consumed as ethyl esters. The authors of the study even stated that ethyl esters “are poorly absorbed in man” due to decreased pancreatic lipase activity. This means that you may absorb a lot less of the health producing EPA and DHA by taking in the inferior EE form. #3. Ethyl Esters are less stable. Ethyl Esters are more prone to dangerous oxidation. When fish oil is oxidized it has lower levels of EPA and DHA. Since the EPA and DHA molecules are the main workhorses of the omega-3 family, reduced EPA/DHA content means reduced efficacy of the oil. Oxidized ethyl esters also supply less health benefits. In a Spanish study, researchers divided 52 women into three different groups: one group that consumed less oxidized omega-3 capsules, one group that consumed highly oxidized omega-3 capsules, and a third group that received no capsules. After thirty days, they measured the women’s triglyceride and cholesterol levels. Only the women who received the less oxidized capsules had reduced triglyceride and cholesterol levels. Simply put, only those supplementing with safe fish oil (non-oxidized) received the promised health benefits of omega-3 fatty acids. And finally, oxidized ethyl esters may actually cause negative health conditions. In that same Spanish study, the women in the highly oxidized capsule group saw a negative impact on their cholesterol levels. The oxidized oil was not just less effective than the less oxidized oil; it produced a negative health consequence for the women. So, as you can see, you should test to see which form your omega-3 supplement is delivering. If you find that it is the triglyceride form than you can be assured you are getting a higher quality supplement. Watch the quick 3-minute video above and take the omega-3 form test for yourself. If you find that your oil is an Ethyl Ester and destroys the cup remember that you are putting that low quality omega-3 in your body as well. You might want to re-think that. Isn’t science cool?